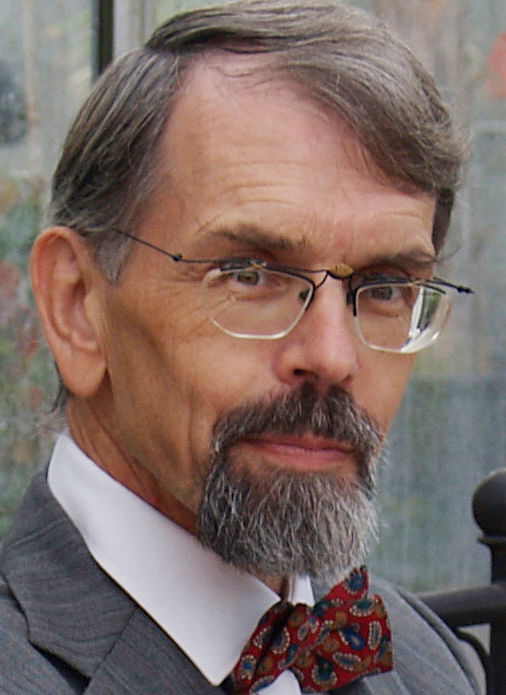 Dr. Rainer Bächi, founder and director of the Institute for Marketecology (IMO, today Ecocert IMOswiss AG) died while on a business trip in Georgia. His life ended unexpectedly in a tragic car accident in the early hours of 10 June 2010. Rainer Bächi was born in Zürich on 31 July, 1948. He and his two brothers grew up in an anthroposophical home where he soon came into contact with the arts, with nature and matters concerning health. When he was in the lower classes of the Rudolf Steiner School in Zürich, he already knew that he wanted to become a teacher and this was the profession he learned first. During his school years, he went to America as an exchange student and was deeply impressed by the uncultivated areas of land he saw there. The decision to become a farmer and to cultivate and use the land in a natural manner had its roots here. In 1974 he graduated in agricultural sciences at the ETH Zürich (The Swiss Federal Institute of Technology). The following 2 years were spent working together with his wife on the Dottenfelderhof, one of the first biodynamic farms in Germany. Due to the exorbitant price of land and the lack of tenancies, he was unable to fulfil his wish of running his own farm and thus turned his attention to the retail sector and managed the health food shop “Vier Linden” in Zürich for 3 years. However, the fascination of biodynamic agriculture was to captivate him for the rest of his life. He began his doctoral studies in Rudolf Steiner’s ashing method in order to get scientific acknowledgement of this method. On the successful completion of his doctorate in 1985, he had carried out not only uncountable numbers of experiments in the laboratory but also of outside tests, and was in contact with all leading European experts in biodynamic agriculture. From 1985 to 1990, Rainer Bächi was director of the VSBLO, the forerunner of today’s Bio Suisse. At the same time, he acted as secretary of the Demeter Trademark Commission and of the Biodynamic Consumer Association in Switzerland. In 1989 Rainer Bächi founded the non-profit “Bio-Foundation” to advance eco-friendly products and an alternative form of consumer behaviour. It was his vision to build a bridge between the languages and cultures of the simple farmers in developing countries and the demands of the consumers in the highly technical ones. A better understanding on both sides was what he wanted to achieve. The Institute for Marketecology (IMO), of which Rainer Bächi was director until his death, began as a department of this foundation. From its beginnings, the IMO focused on the control and certification of organic produce. Without the foresight and drive of Rainer Bächi, the IMO would not be the leading service provider in its field that it is today, nor would it be recognized worldwide as a highly qualified, independent certification body. Rainer Bächi was a highly creative thinker whose approach to finding solutions to challenges was always unusual. With the founding of the IMO group in 2006, in which he brought together the different IMO companies worldwide in a holding, he created a corporate form, innovative not only in a business but also in a social sense. His aim was to embrace the manifold cultural influences and peculiarities of the individual offices but at the same time to guarantee a uniform quality standard worldwide. The individual and his or her personal responsibility was always most important to Rainer Bächi. This conviction was reflected in the way he trusted his staff, whatever our age, religion or social background, and in the way he encouraged us all to make our individual contribution to the organic movement. Rainer Bächi observed the increasing red tape attached to organic agriculture critically and he persistently questioned developments that were in conflict with his ideals. A man like Rainer Bächi never allowed himself to be restricted by practical constraints or the ever-increasing lists of rules and regulations of the world of certification; with innovative ideas, he was always a step ahead of the sluggish bureaucracy. With the passing away of Rainer Bächi, we lose not only a charismatic pioneer of the organic movement but also our teacher, visionary thinker and business leader who had always shown us the road ahead. It is our hope, that with the support of our clients and business partners, we will succeed in furthering his life-work and give it the direction he would have wished for. We grieve for and are thankful for the time we shared with this extraordinary man. Bächi’s whole way of thinking was deeply rooted in spiritual ideals which always directed his actions. Rainer Bächi was convinced that organic agriculture needs new economic structures. The important thing for him was never just the product alone or the mere fulfilment of the need for healthy food; it was more, it was always about the ecological sustainability of the projects and above all about the people involved in the projects; it was important to provide those people living in the rural areas of developing countries with a source of income free from the constraints of monopolisation; it was important to give them a perspective for the future. "The only reliable quality assurance is based on individual responsibility." Some of the visions of Rainer Bächi were part of an interview with Rainer Bächi and Elisabeth Rüegg in "Die Drei" published in 2004 by Enno Schmidt: "Die Zeit ist reif." (available in German and Spanish). Some of the thoughts are part of the article written in the obituary by Stephan Stockmar "A Bridge Builder. On the Death of Rainer Bächi" in Die Drei 07/2010 (German Version). Read more in a comment written by Rainer Bächi for the TOS; republished in TOS 111/2010. 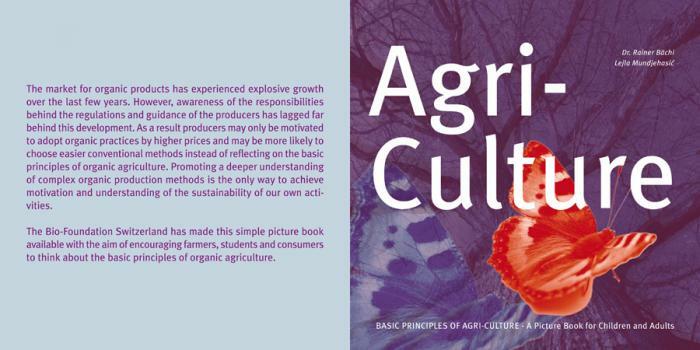 Think about the basic principles of organic “agri-culture” and discover a little picture book written by Dr. Rainer Bächi at www.bio-stiftung.ch. On the occasion of the 60th birthday of Dr. Rainer Bächi the IMO staff members organised an exceptional publication: Visions for the organic movement. Friends of IMO were invited to participate and to tell about their visions and perspectives of the organic sector. The idea was to bring together ideas, thoughts and opinions and thus thought-provoking impulses. Implementing his first cultural impulse Rainer Bächi described on the backside the social impulse of his doings and its importance for our time. On the colored side we see a perfectly conceived picture by the artist Werner Andreas Petraschke, which represents an imagination of the earth. The outreach of our actions is universal. And in return for ourselves. In a colorful social, economical and ecological harmony.